Yes, yoga can help boost your business! It is practiced all around the world. By women, men, the young and the old, from celebrities to school teachers… and entrepreneurs. That’s right Steve Jobs, Evan Williams, co-founder of Twitter, Jeff Weiner, LinkedIn CEO, Russell Simmons, co-founder of Def Jam Records, and Oprah Winfrey all have something more in common, than awesome entrepreneurial spirit. They all practice(d) yoga. And they say it makes them better entrepreneurs. Every entrepreneur will agree, that running a successful business has a lot to do with being able to adapt to changing circumstances and knowing when to persevere or let go. Time will probably come, when you will have to pivot, or maybe even let your company die. In case the latter happens, despite the huge sacrifices you probably made in the process, it’s let go or be dragged down. Yoga can be of big help here. That’s because one of the main lessons it will teach you, is the principle of detachment: always put in your best effort, but don’t get attached to the results of your work. Clinging on to expectations does not serve you. It obscures your vision and makes you focus on obstacles rather than opportunities. If you want to run a successful business, giving up is not an option. And you will inevitably encounter challenges on the way. We heard this so many times – the most successful entrepreneurs have tried and failed more than once. And it didn’t stop them. Why? Because when they happened to fail, they didn’t’ take it as a defeat, but as a learning opportunity. They knew that failure can make you stronger, if you look at it the right way. Similarly, through regular yoga practice, you can realize, that you are much more capable than your mind is trying to tell you. This realization then allows you to overcome barriers that might be holding you back in your professional and personal life. And enables you to tap into all of your potential. Simply put you get to unlock the bonuses you didn’t even know you had. Especially when running a startup and bootstrapping, you simply have to make the most of all available resources, coming up with hacks to save you time and money. Very often you have to un-learn limiting behaviors and thought patterns (a.k.a. fears), that you picked up from school and society in general. You need realize what you have in a particular moment and how you can work with it. This leads to another very important principle that yoga aims to teach: presence in the moment. Taming the monkey mind, always jumping from one thought to another, dwelling on the past or worrying about the future. Only by being completely focused and present in the now, can life ever be lived fully. It is the only way to get the full picture of the situation. When starting a business, chances are, you are creating something new, blazing a new trail. Especially if you are a first-time entrepreneur or starting a startup, it probably feels like jumping off a cliff and assembling the plane on your way down, as Reid Hoffman, co-founder of LinkedIn, put it so eloquently. 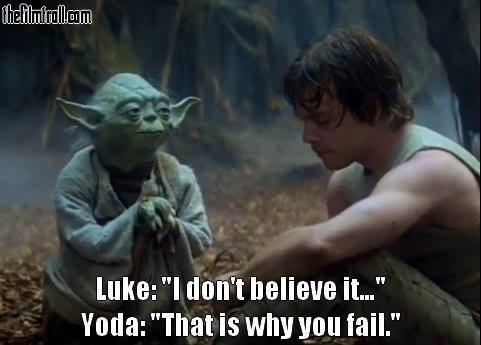 That’s why it is essential to believe in yourself and trust your gut-feeling. Not only that, you also have to trust, that the Universe, god(ess), luck, life or however you want to call it, will support you in that endeavor. If you think the phrase inner peace has an esoteric and hippy-ish connotation, you are definitely not the only one! But before dismissing it, consider this: as a company founder you carry a huge responsibility all of the time. Unfortunately you (mostly) can’t control what happens in the world around you. Circumstances take unexpected turns, deals don’t go through, people change their minds. There is no assurance things will go as you planned. And when s**t hits the fan, the only way to survive and possibly thrive, is to adapt fast and keep your cool. Yoga sees the outside world as temporary, everything is always in flux. Things get worn out and decay, nature goes through cycles of life and death, society changes. Nothing ever stays the same, we just want to see it that way, so we would feel more in control, though we never actually are. That is why yoga points our attention inside ourselves, where the real sanctuary lies. Our inner Self, as ethereal as that may sound, is permanent and untouched by the chaos going on around us. Inner peace cannot be explained, it can only be experienced, but a good way to describe it, is deep restfulness and a feeling of harmony. So how can yoga boost your business? More focus, productivity, calmness and efficiency pretty much say it all. In fact, yoga is proven to help achieve physical, mental and emotional balance, better health, increased immunity and energy, stress relief, better intuition and more happiness. Meditation, as part of yoga, also helps with focus, mental clarity, alertness, effectiveness, decision making and coping with a hectic work environment. No wonder that many big executives are introducing meditation to their employees. In Silicon Valley too! 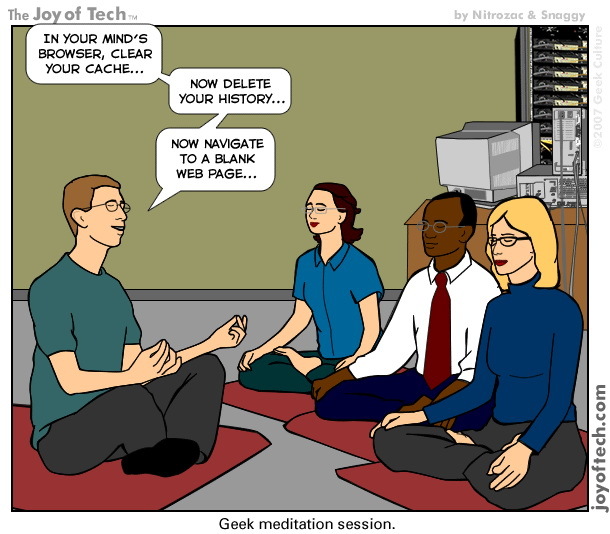 Take the example of the tech giant Google, that introduced meditation classes on its corporate campus. With all the ways that yoga can help you boost your business, only one question remains: have you already started practicing it? *This article was originally published as my guest post for Rockstart Accelerator. This entry was posted in Life-hacks, Yoga and tagged business, CEO, coder, company, entrepreneur, founder, geek, programmer, startup, Yoga. Bookmark the permalink. Nice article. Practice yoga to live.